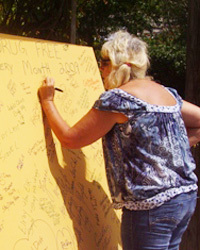 Many religious organizations have produced excellent programs and activities regarding alcohol, tobacco and other drug prevention as have many civic organizations. Often these become model programs. If your organization wishes to create a prevention program there are several things to consider. Successful programs are based on effective designs. Over the past two decades a lot has been learned about “how” to create and implement effective programs. Solid prevention programs have core elements based in research… and have been tested in diverse communities, in a wide variety of settings and with a range of populations (for example, family based programs in schools and churches). As organizations review prevention programs to determine which best fit their needs, they should consider the following core elements of effective research-based programs. Delivery: How the program is selected or adapted and implemented, as well as how it is evaluated in a specific community. When adapting programs to match community needs, it is important to retain these core elements to ensure that the most effective parts of the program stay intact. For additional guideline information and model program information: www.nida.nih.gov/prevention. In brief, the core elements are described below. Structure - Structure addresses program type, audience, and setting. Several program types have been shown to be effective in preventing drug abuse. School-based programs, the first to be fully developed and tested, have become the primary approach for reaching all children. Family-based programs have proven effective in reaching both children and their parents in a variety of settings. Media and computer technology programs are beginning to demonstrate effectiveness in reaching people at both community and individual levels. Research also shows that combining two or more effective programs, such as family and school programs, can be even more effective than a single program alone. These are called multi-component programs. Content - Content is composed of information, skills development, methods, and services. Information can include facts about drugs and their effects, as well as drug laws and policies. For instance, in a family intervention, parents can receive drug education and information that reinforces what their children are learning about the harmful effects of drugs in their school prevention program. This opens opportunities for family discussions about the abuse of legal and illegal drugs. Drug information alone, however, has not been found to be effective in deterring drug abuse. Combining information with skills, methods, and services produces more effective results. Methods are geared toward change, such as establishing and enforcing rules on drug abuse in the schools, at home, and within the community. Services could include school counseling and assistance, peer counseling, family therapy, and health care. Parental monitoring and supervision can be enhanced with training on rule-setting; methods for monitoring child activities; praise for appropriate behavior; and moderate, consistent discipline that enforces family rules. Delivery - Delivery includes program selection or adaptation and implementation. During the selection process, communities try to match effective programs to their community needs. Conducting a structured review of existing programs can help determine what gaps remain. This information can then be incorporated into the community plan, which guides the selection of new research-based programs.